Who doesn't love a good ghost story? Well, in Nevada, there's a whole lot of them! From hospitals and asylums, to cemeteries, schools, theaters, restaurants, parks, bridges, and even roads, there's an endless amount of places throughout the state that are said to have some ghostly spirits lingering. Some of these creepy spots are located in the biggest of cities that everyone knows about, and others in small towns that only locals may know of. 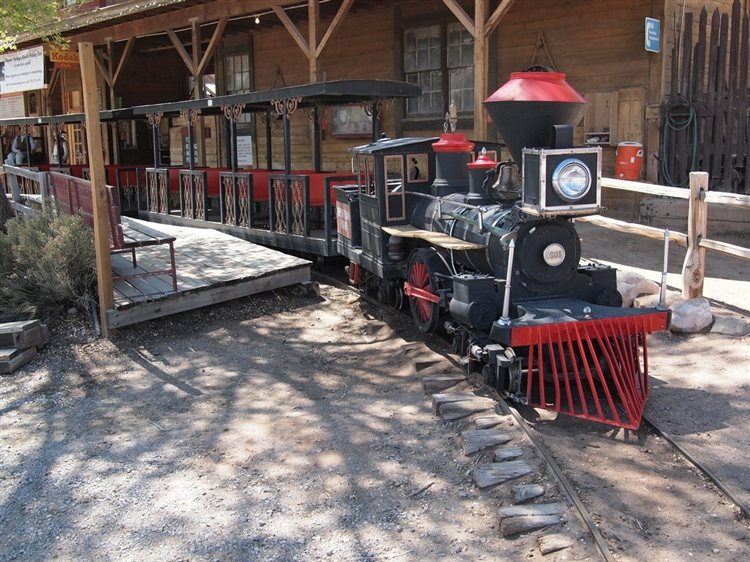 Take a peek below to check out our Top 10 Haunted Places in the state of Nevada! 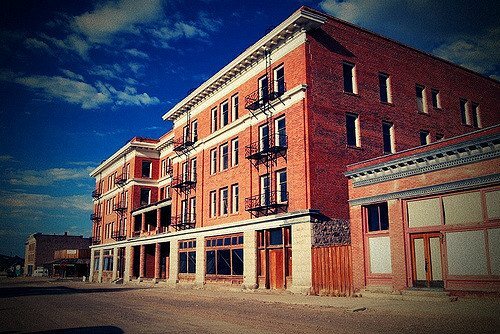 The Silver Queen Hotel dates back to 1876 and features a Western theme, and some ghosts, too! Stories say that a prostitute named Rosie committed suicide in Room 11 during the 1800s and that she lingers in spirit to this day. Located in the Red Rock Canyon National Conservation Area, the Bonnie Springs Ranch is a frontier-inspired hotel that is believed to be one of Nevada's most haunted locations. The apparition of a little girl lingers here, and she is said to spin the merry-go-round. Witnesses in the wax museum have reported voices and have even claimed that the wax figures move on their own. Rumor has it that the displays are nailed down so they don't keep getting mixed up! A shadow figure has also been seen at the ranch, along with showing up in photos as a black mass. 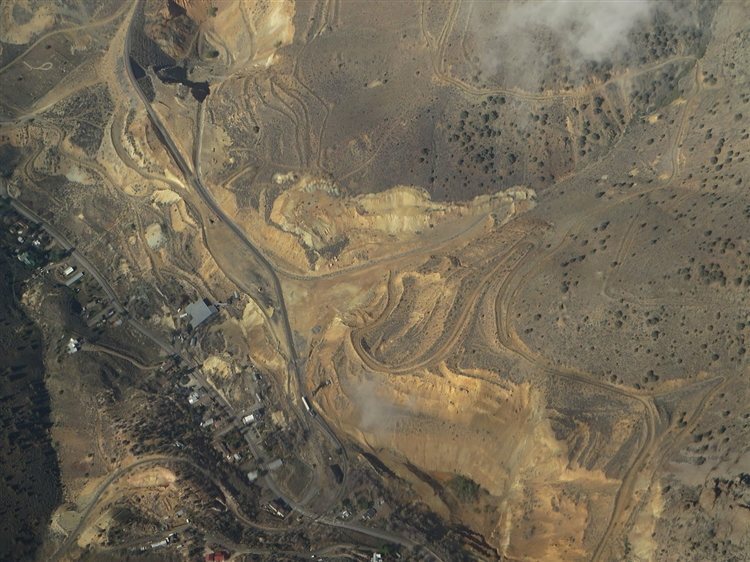 Gold Hill's Yellow Jacket Disaster was one of the worst mining accidents in the state of Nevada. Taking place in 1869, a fire spread at an 800 foot level and killed at least 35 miners, others disappearing without record. Many believe the hauntings that take place here are attributed to those who died on that tragic day. TV's "Ghost Adventures" feature the site on one of their episodes and up to 11 ghosts are said to linger the area. 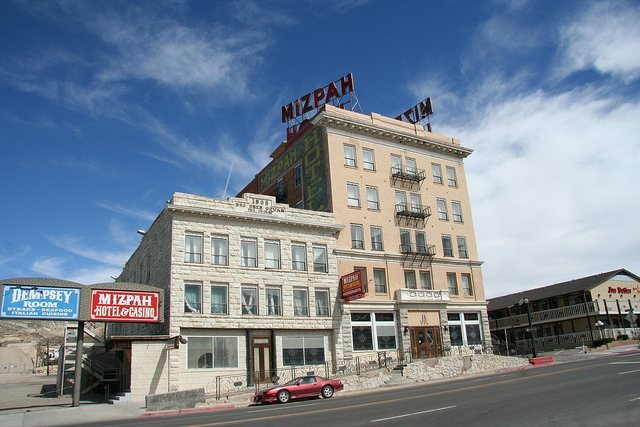 Tonopah's Mizpah Hotel is located on N. Main Street and dates back to 1907. The five-story hotel is believed to be haunted by prostitutes from its early days, the Lady in Red being its most famous. Her ghost is known to touch men's hair or brush against them, and according to stories, she was beaten and strangled at the hotel by her ex boyfriend. Sometimes when she is near, the smell of her perfume can be detected, and her ghost has been seen talking to a miner's ghost. Along with these two spirits, a greenish-blue woman and several men have also been spotted at the hotel, but they quickly disappear. Another story surrounding the hotel involves a politician who died here on election night and the body was kept on ice in the bathtub. His apparition has been seen laughing near the hotel's bathtubs. Ghostly miners are also known to hangout in the basement. Located on N. Nevada Street in Carson City, the Abraham Curry House was listed on the National Register of Historic Places in 1987 and dates back to 1871. The original owner, Abraham Curry, is said to linger here in spirit and witnesses say his ghost appears as a full body apparition that is clear enough to be identified as his ghost. Dating back to the 1870s, this location was once called the Millionaire's Club, a bar hangout for wealthy men with a brothel upstairs. The ghosts that are said to haunt the building are that of a teenage girl who was killed in the basement, a blonde prostitute known as Lena who was murdered in a room on the third floor, and the prostitute's killer, who committed suicide on the second floor. Many of the spirits have been spotted on the spiral staircase. 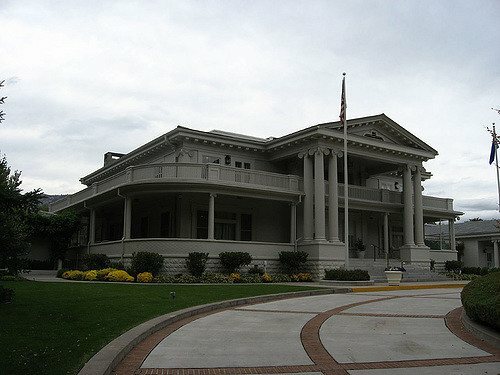 Dating back to 1909, this mansion is the official residence of the Governor of Nevada and the Governor's family. 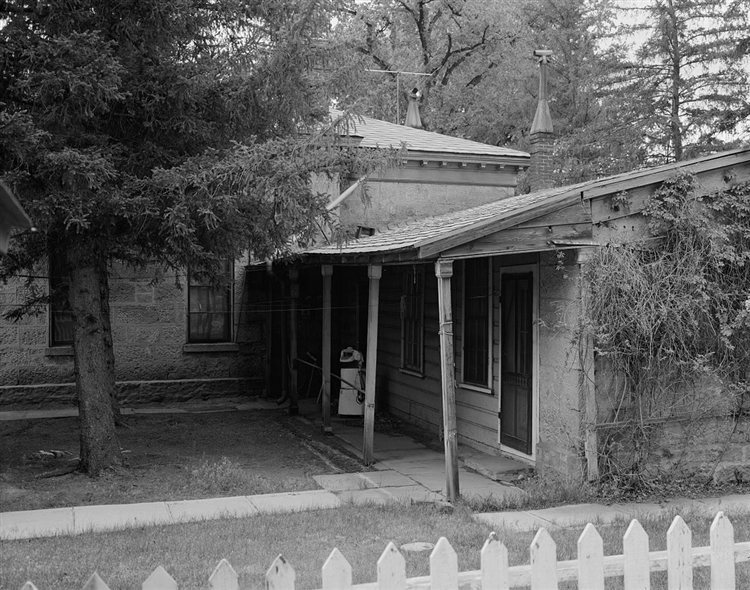 Located on Mountain Street in Carson City, the home was added to the National Register of Historic Places in 1976 and is believed to be one of Nevada's most haunted spots. Believed to haunt the place is that of Governor Denver S. Dickerson's wife Una, who first occupied the home, and their child, June, who was their only child to be born in the house. This historic hotel is no longer in operation but has had ghost stories surrounding the place for quite some time. 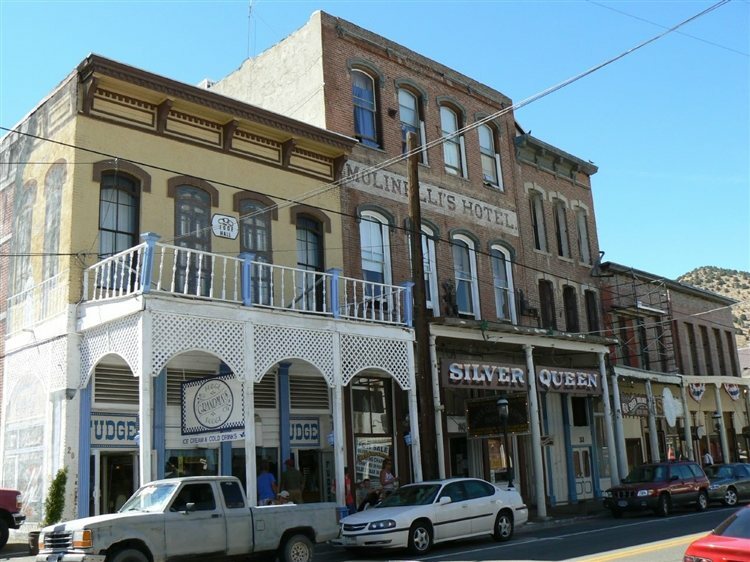 Located on the corner of Crook Avenue and Columbia Avenue in Goldfield, the hotel has been featured on TV's "Ghost Hunters" and "Ghost Adventures" due to its reported hauntings. According to Legends of America, there are several ghosts haunting the place, the most famous of which is a prostitute named Elizabeth. She frequently saw mining magnate George Wingfield, who ended up purchasing the hotel shortly after it was built, and when she turned up pregnant and he couldn't keep her quiet, he was said to have chained her to a radiator in Room 109. Wingfield supplied Elizabeth with food and water and waited for their baby to be born. Some stories say Elizabeth died during child birth, while others say Wingfield murdered her after the child was born. Her baby was thrown into an old mining shaft. Reports say the sounds of a baby crying can sometimes be heard throughout the hotel. 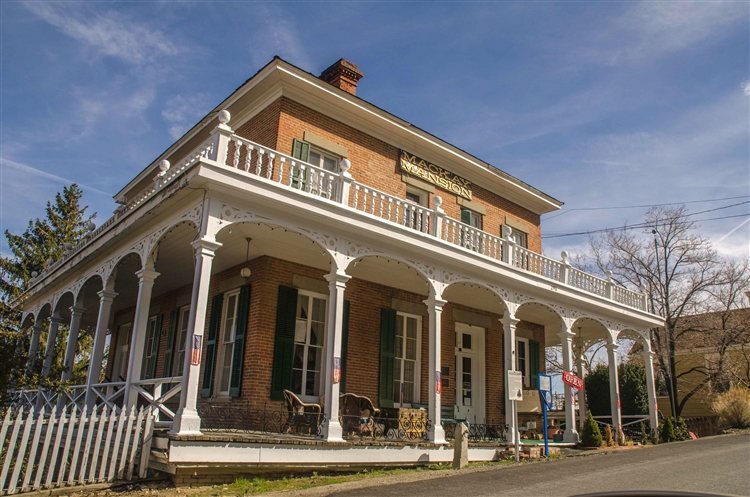 The Mackay Mansion in Virginia City operates today as a museum that is believed to be haunted. Former residents of the property are said to linger here in spirit, causing so much paranormal activity that TV's "The Dead Files" explored the site for themselves. 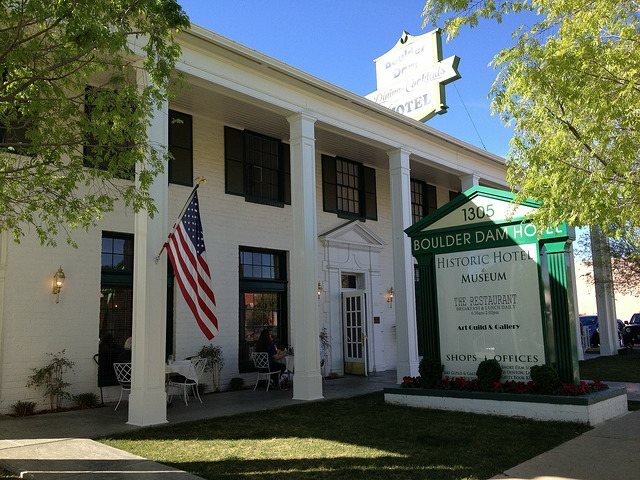 Located on Arizona Street in Boulder City, this hotel dates back to 1933 and was the home to Howard Hughes during his recuperation from his Lake Mead plane crash. There are a number of ghosts that are said to haunt the building, where apparitions have been seen and some have even reported a ghostly hand on their shoulder, and hands that come up through the floor and grab your ankle. Tommy Thompson, a former night clerk of the hotel, is also said to haunt the lobby. 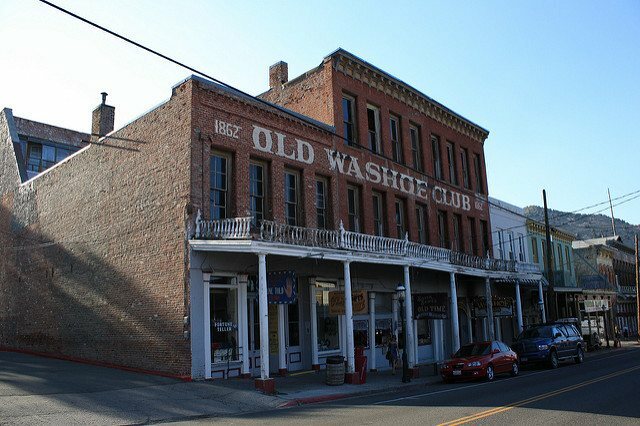 Have you ever visited any of these Haunted Places in Nevada? If so, let us know in the comments below!